The 1932 general election saw the landslide victory of Fianna Fáil and the decline of Cumann na nGaedheal. 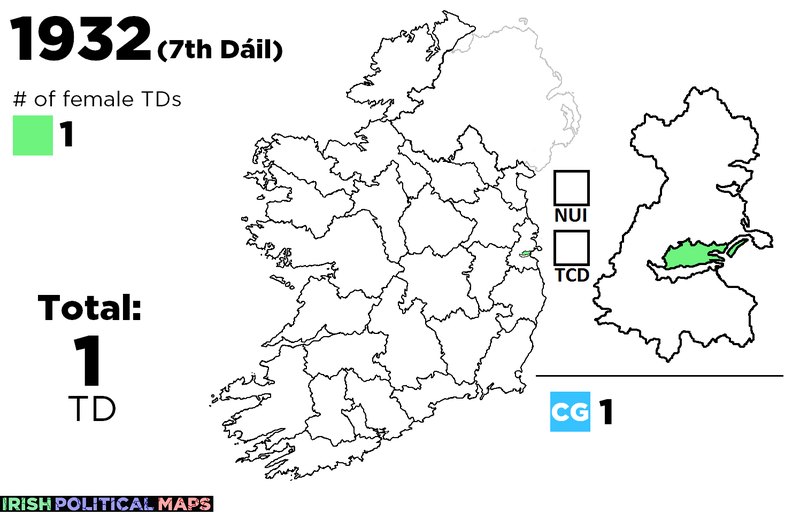 It also resulted in only one female TD, Margaret Collins-O'Driscoll. 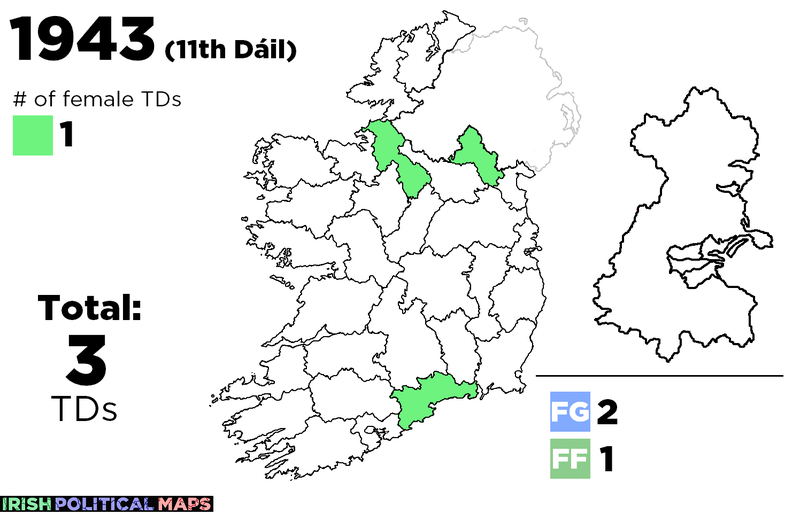 She lost her seat the next year, but the number of female TDs rose to three as Margaret Mary Pearse, daughter of the Easter Rising leader, was elected in Dublin County. 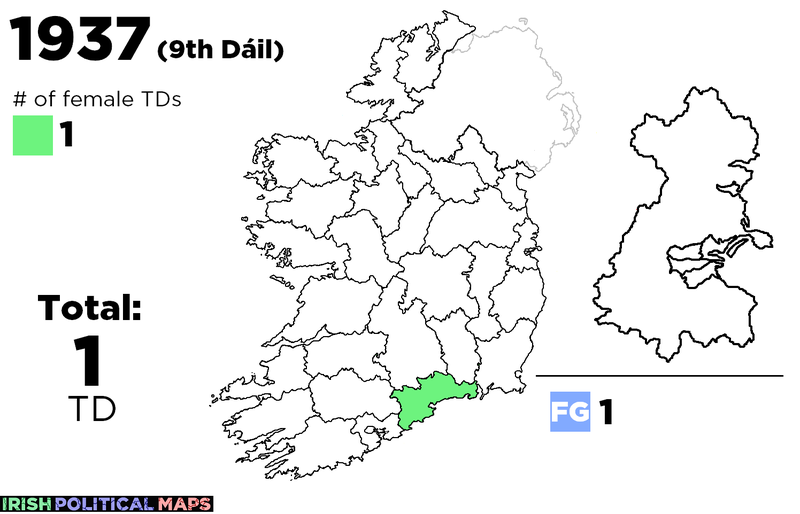 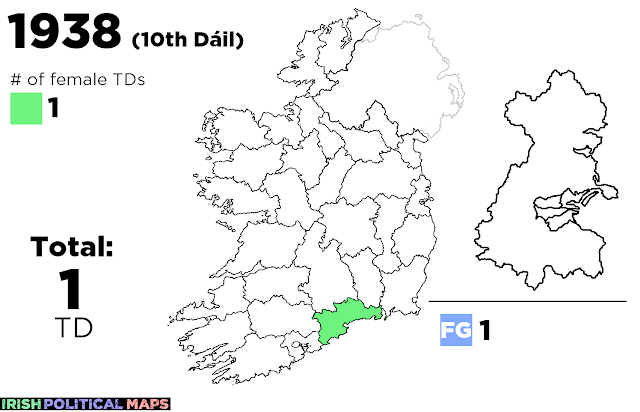 Another family connection arose in Waterford, where Bridget Redmond, daughter-in-law of the former Irish Parliamentary Party leader John Redmond, was elected for the new Fine Gael party. 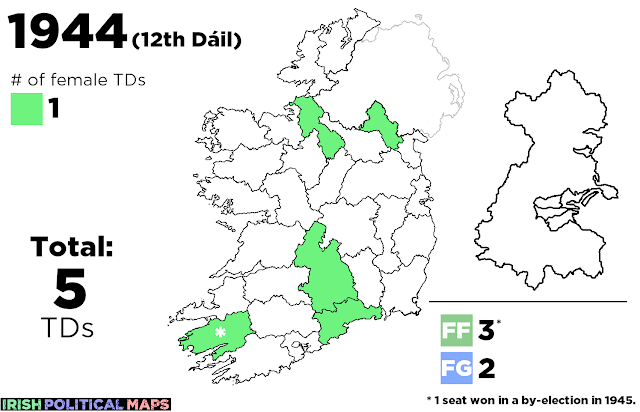 She held her seat until her death in 1952, and was the only female TD between 1937 and 1943. She was eventually joined by Mary Reynolds, Mary Rice, Bridget Ryan, and 1945 by-election winner Honor Crowley, all but Reynolds being members of Fianna Fáil. 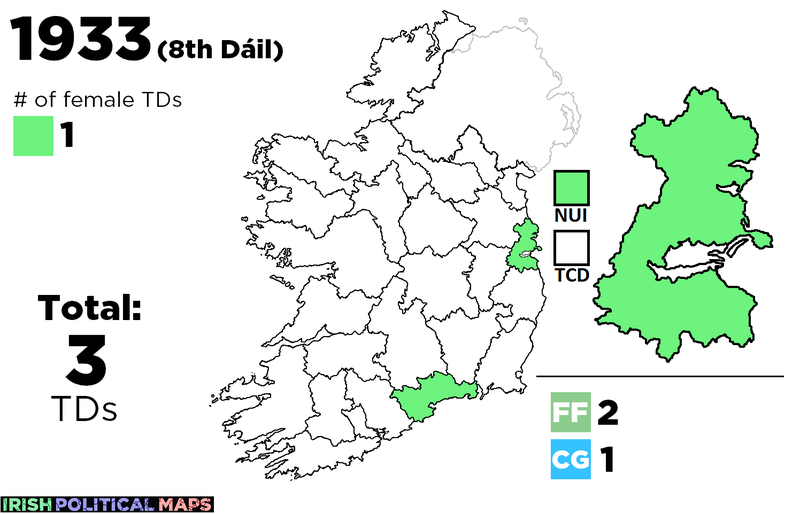 In the same period of time in which Éamon de Valera drafted Bunreacht na hÉireann with its provisions about a woman's role in the home, none of these women advanced beyond being backbench TDs.